North Korea's Economic Crisis -- What Crisis? Not so fast. For starters, there wasn’t much to crush. Never mind. And, contrary to repeated conjectures by experts in international affairs, whatever there is of a North Korean economy appears to be quite stable. While it is difficult to obtain dependable economic data about the Hermit Kingdom, there are reliable data on key prices that, when properly interpreted, provide insights into the performance of the economy. The most important price in any economy is the free-market exchange rate between its domestic currency and the U.S. dollar—the world’s reserve currency. But, is there a free market for currency in North Korea? Well, yes, there is. North Korea has an active currency black-market where reliable North Korean won-U.S. dollar (KPW/USD) rates are regularly reported. And that’s not all. 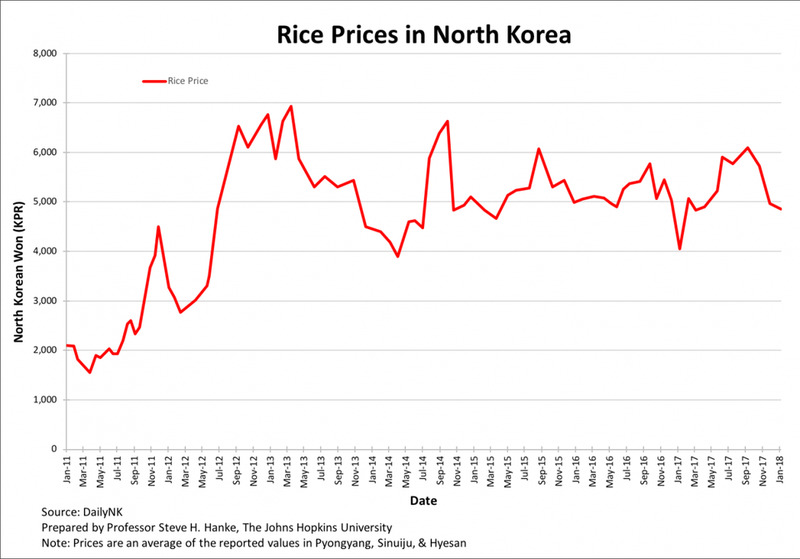 There is also a black market for rice—the most important staple in North Korea. Black-market rice prices are regularly reported, too. Armed with these two prices, we can lift the shroud of secrecy that covers the North Korean economy. Before Kim Jong-un assumed power in 2011, North Korea experienced severe economic problems. These included hyperinflation and famine. In 2009, the North Korean government attempted to address runaway inflation by implementing a phony currency “reform” program, which it promptly bungled. The so-called reform was actually just a currency redenomination program, which arbitrarily lopped two zeros off of every won note. North Koreans were given less than two weeks to exchange all of their won for new notes. And, the government set limits on the quantity of won a family could exchange for new won. For those North Koreans who had saved a few too many won, the redenomination program was effectively a wealth tax program. It should come as little surprise that Pyongyang’s bungled currency reform sparked a panic in North Korea’s won black-market and its underground markets for goods and services. Indeed, the value of the won against the greenback collapsed, and the price of rice skyrocketed. With the plunge of the won, inflation surged. My studies show that a hyperinflation episode began in December 2009. It was then that the monthly inflation rate first exceeded the hyperinflation threshold of 50% per month. North Korea’s hyperinflation peaked in early March 2010, when the monthly inflation rate reached 926%. When Kim Jong-un assumed power in 2011, the North Korean economy resembled a disaster zone. The new leader immediately pursued policies to stabilize the won, prices, and the economy. Rather than attempt another disastrous currency reform, Kim Jong-un followed a two-pronged approach in the monetary sphere. On the one hand, domestic monetary policy was set so that the KPW shadowed the USD on the black-market. The KPW/USD exchange-rate stability became North Korea’s unwritten monetary policy objective. While on the other hand, what could be termed a policy of benign neglect was also introduced. This allowed for the spontaneous “dollarization” of the economy. In consequence, the Chinese yuan (CNY) and the green back became coins of the realm, replacing the KPW. 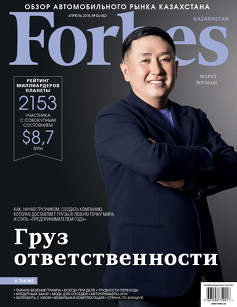 Kim Jong-un also looked the other way as the underground economy flourished. Indeed, he allowed large chunks of the economy to spontaneously privatize themselves. In addition, as the vise of international sanctions began to squeeze, the North Korean government devised a variety of squeeze- avoidance strategies. 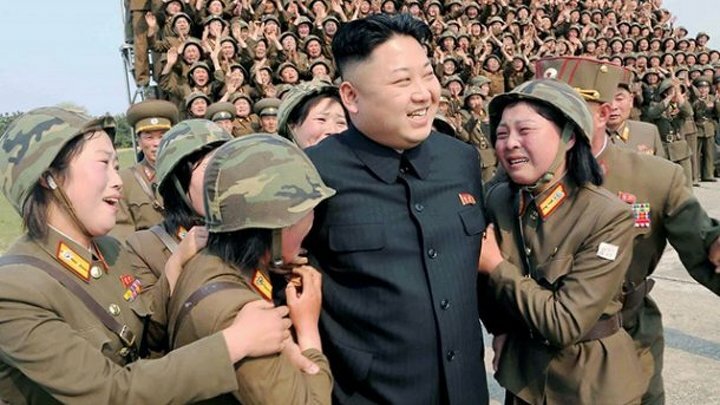 Kim Jong-un’s approaches of spontaneous “dollarization” and “privatization” has worked much better than the press and experts in international affairs would have us believe. Just look at the KPW/USD exchange-rate chart below. 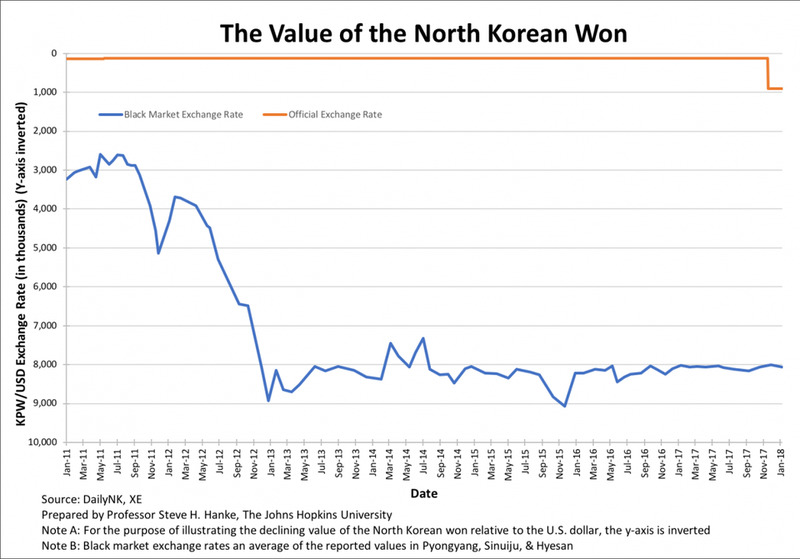 The most important free-market price in North Korea has been very stable since 2012. Rice prices have also been stable since 2012 (see the chart below). This suggests that the specter of inflation doesn’t appear to be haunting over the North Korea. So, maybe the North Korean economy, which is largely underground, is more resilient and in better health than the press and experts assert. If so, Kim Jong-un has more cards to play than the experts think he has. How did the ex-President of the Kazakhstan Stock Exchange (KASE) Mr. Damir Karassayev grow a bank in Cambodia and why did he sell it to Canadians?